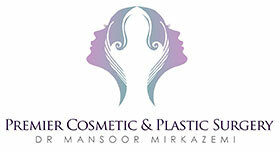 Dr Mansoor Mirkazemi is a qualified Australian Plastic Surgeon who specialises in cosmetic surgery. After completing secondary school in Tasmania, Mansoor spent a year performing voluntary service overseas, before being admitted to the School of Medicine, University of Tasmania. 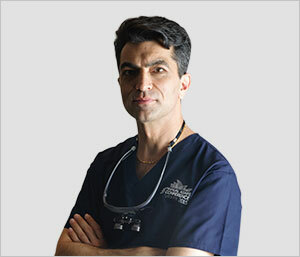 Mansoor graduated in 1995, and completed his internship and two years of Basic Surgical Training at the Royal Hobart Hospital. He then worked as a registrar in Plastic Surgery with senior surgeons in Tasmania. 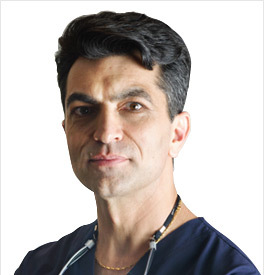 In 2002, Mansoor moved to Victoria, where he trained under the auspices of the Royal Australasian College of Surgeons in General Surgery for 2 years before taking an extra 4 years of advanced training in Plastic and Reconstructive Surgery. His areas of expertise include cosmetic and reconstructive breast surgery, nasal refinement, facial rejuvenation, and body contouring. Mansoor is actively involved in the teaching of plastic surgery trainees and is currently the Supervisor of Surgical Training at Victorian Plastic Surgery Unit (VPSU). He regularly attends local, national and international conferences and workshops to stay up to date with the latest innovations in the field of cosmetic, plastic and reconstructive surgery. He has presented his work in many meetings and conferences and published articles in peer-reviewed journals. Mansoor also travels to Indonesia every year as an Interplast volunteer to help those people who do not have access to medical treatment. He treats children with cleft lips and palates, burn injuries, hand injuries and tumours. Mansoor is also currently working as a Plastic and Reconstructive Surgeon at public hospitals with Monash Health and Eastern Health. The highest quality care comes through meticulous operative techniques and attention to detail alongside a genuine, caring and compassionate service.